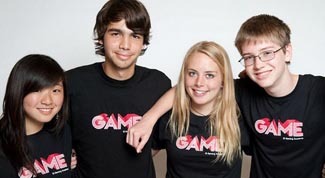 What could be better than 2 weeks with other teens who also love gaming! Prove to others that gaming is more than a hobby, and apply your gaming interest to create a video game, talk to industry professionals, and build a portfolio. We guarantee small class sizes (max 8:1), and courses are taught by top-tier instructors who have degrees in the field and impressive backgrounds in professional game development, game programming, and character design. iD Gaming Academy is a 2-week, overnight, pre-college immersive summer program held at prestigious universities nationwide. This includes Harvard, Stanford, Villanova University, UT Austin, the University of Washington, the University of Denver, Lake Forest College, Emory University, TCU, and Vassar. There’s never been a better or more important time to engage in STEM (Science, Technology, Engineering, and Math) education. Plus, you’ll have plenty of free time to battle it out against others in gaming tournaments with Team Fortress 2 and play other games like Portal 2, Left for Dead 2, and more. Accredited Continuing Education Units are also available from Stanford or Villanova to demonstrate that you’ve completed course content with college level difficulty. You’ll also have access to year-round learning opportunities with free monthly online workshops as well as iD Tech 365 – an online subscription service where students learn from tech tutorials, compete in gaming tournaments, and stay connected through community forums. Want more? iD Tech Camps offers weeklong game development and technology summer programs for ages 7-17 located at 60 prestigious universities in 26 states (www.internalDrive.com). Additional Teen Academies include iD Visual Arts Academy (filmmaking and photography) and iD Programming Academy (www.iDTeenAcademies.com). Visit www.iDGamingAcademy.com for more information and to register online (check real-time-up-to-the-minute-availability). Or call 1-888-709-TECH (8324) to speak to a Program Advisor. Flexibility! Enroll now and make changes up until 3 weeks before the start of your session without penalty fees. Please check website for costs, discounts, and specials.